French Caribbean Islands offer yacht charter guests the quintessential Caribbean; flawless sand beaches, fascinating marine life, welcoming West Indian people, hypnotic spices and flowers, and music that inspires dance, PLUS a celebration of everything French. If not for the tropical climate it could almost be France. The French influence adds a certain elegance and cosmopolitan flair. Visitors will find picturesque towns with European amenities: supermarkets well-stocked with quality products, chef-driven restaurants and sidewalk cafes with excellent coffee and pastries, sophisticated spas, fine art galleries and designer boutiques. It’s what sets the French West Indies apart from the other Caribbean islands. 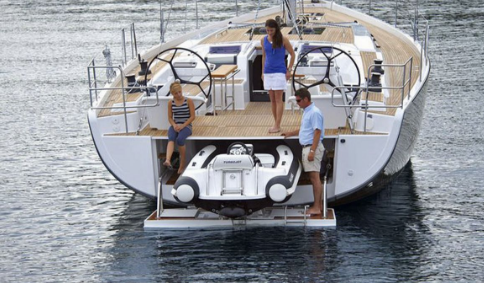 The Marin Marina is the preferred location to begin your luxury yacht charter. Picturesque waterfront restaurants, galleries and boutiques characterize this elegant yachting capital of Martinique. Shop for keepsake treasures and dine at Zanzibar Restaurant. 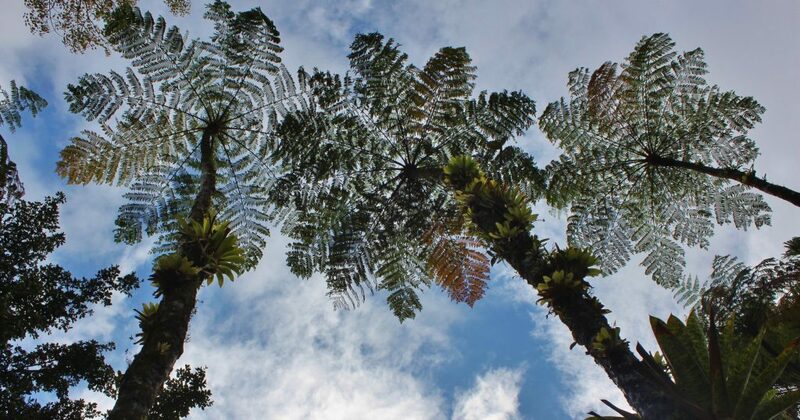 Those who like to escape town can take an excursion to the mountain heights of Morne Grommier for the medicinal botanical gardens, magnificent 360-degree views, for a bit of southern Martinique history, and to tour the region. For a shot of adrenaline, go canyoning. 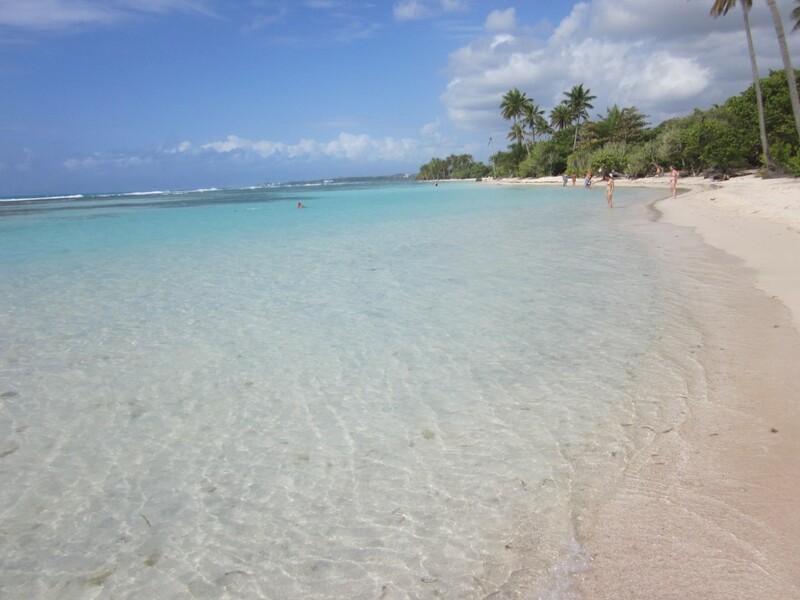 Sainte-Anne is a picturesque village with attractive shops, restaurants, and a craft market. It is a lovely yachting destination with palm-fringed coves and some of the island’s most beautiful beaches. 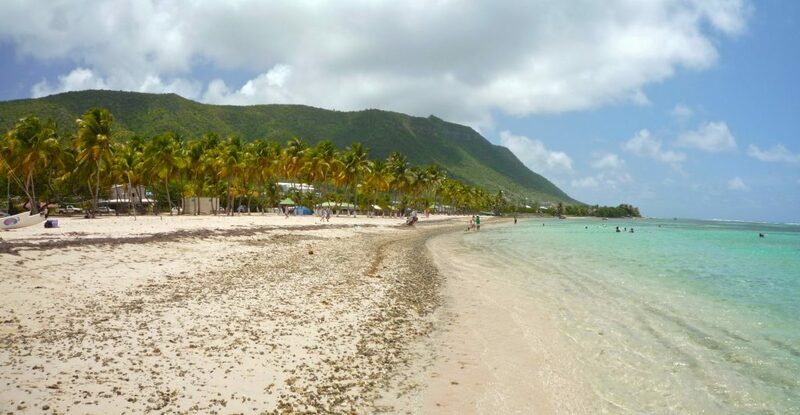 A short distance south, Les Salines is one of the most popular stretches of sand and sea in Martinique. Charter yachts can dock right on this calm, protected beach. Explore the quaint shops across the street, then go for a refreshing dip before getting back on board. For culture and history buffs, especially fans the Napoleonic era, visit the Musée de la Pagerie. Buildings and artifacts outline the life and family of Empress Josephine. Before its destruction by Mount Pelée’s eruption in 1902, Saint-Pierre was, like Havana, a very trendy town. Some called it “the Paris of the Caribbean”, others “Town of a Thousand Nights”, but in the devastation of 1902 almost nothing was spared. The town was gradually rebuilt and today, with interesting museums and historic sites,it is officially recognized as a city of Art and History. Experienced divers might prefer to dive a most interesting shipwreck offshore at a depth of 50m. On the charts, Guadeloupe looks remarkably like a butterfly. 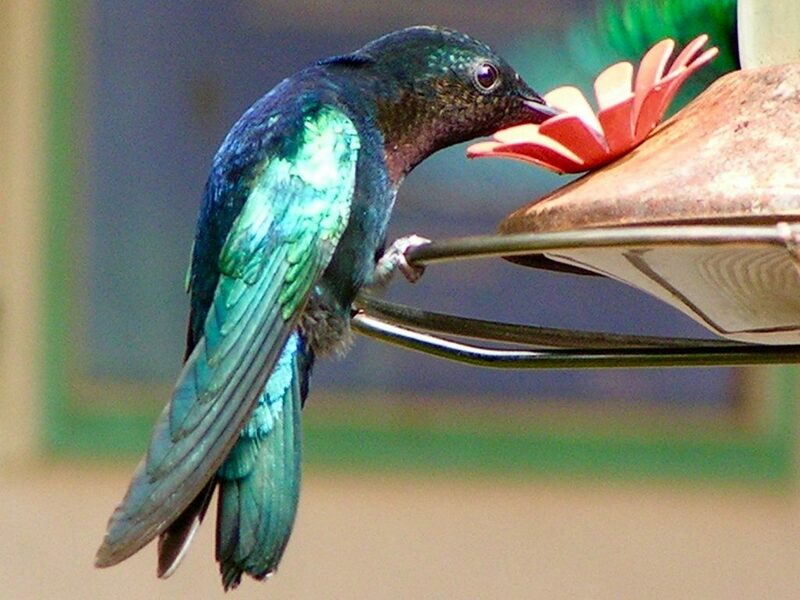 Its wings are actually two ‘island’ districts, Basse-Terre Island and Grande Terre, bisected by the Rivière Salée (Salt River). This relatively flat, limestone plateau, has perfect soil for the sugar cane plantations that can be visited today. 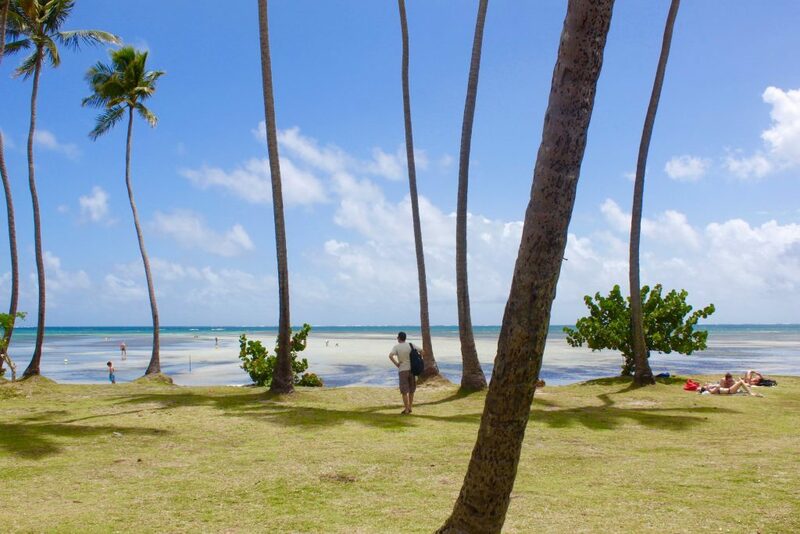 The island is rimmed by pristine beaches and beach towns with great restaurants and beach bars. 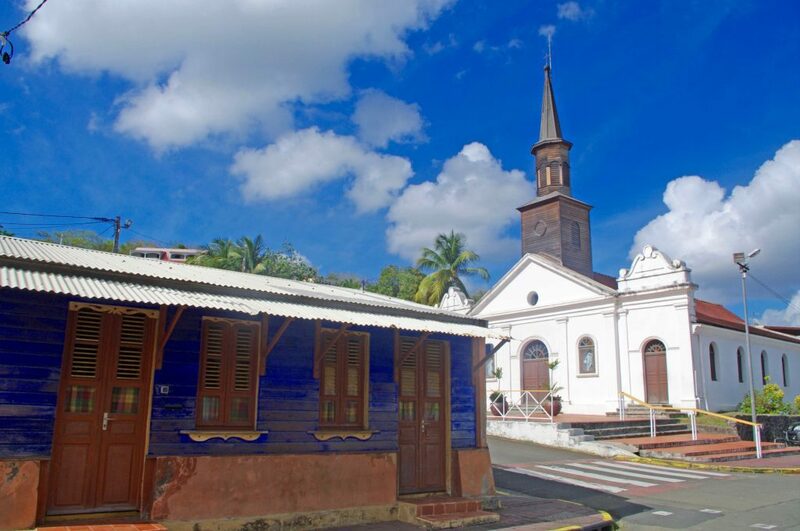 On Grande-Terre, explore the largest city in Guadeloupe, Pointe-à-Pitre. Peruse the shops for French-made treasures. Photograph 19th century buildings on the Rue Achille and René-Boisneuf. Wander through fruit, spice and crafts markets, where older women still wear traditional dress. Stop at one of the sidewalk cafes along the Rue Bébion, on the west side of the Place de la Victoire. Admire the stately old homes along the Rue de Comdt Mortenal on the east side. Visit the bright yellow Cathédrale de St-Pierre et St-Paul with its elaborate metal buttresses. Most shops are open from 8:30am to 1:00pm and 3:00pm to 5:30pm. Go early to avoid crowds and cruise ship passengers. Just 10 minutes from town is the modern Pole Caraibes International Airport. This island has a volcanic, mountainous interior. 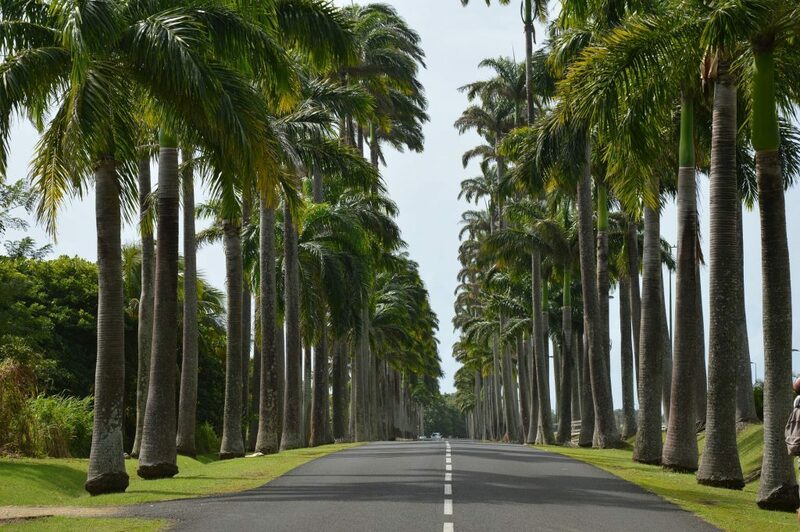 Parc National de la Guadeloupe is 74,100 acres with hiking trails through rainforest foliage to magnificent waterfalls and up the summit of active La Soufrière volcano. Anchorages are beautiful and uncrowded. 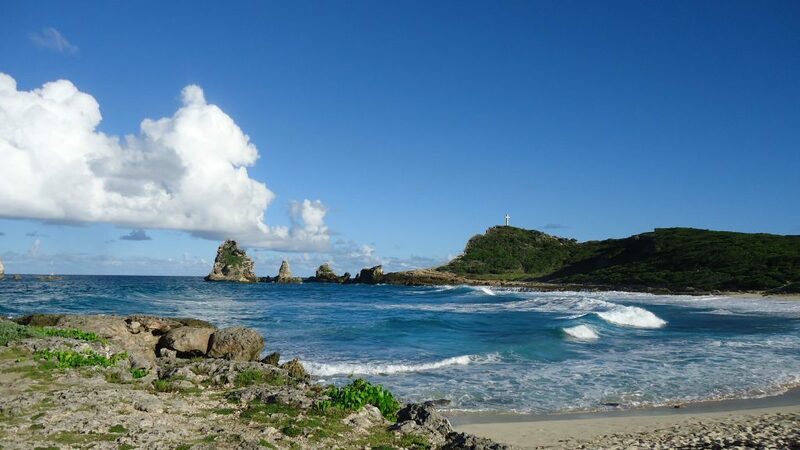 The Jacques Cousteau Underwater Marine Reserve, just off Pigeon Island, is a superb snorkel/dive attraction. 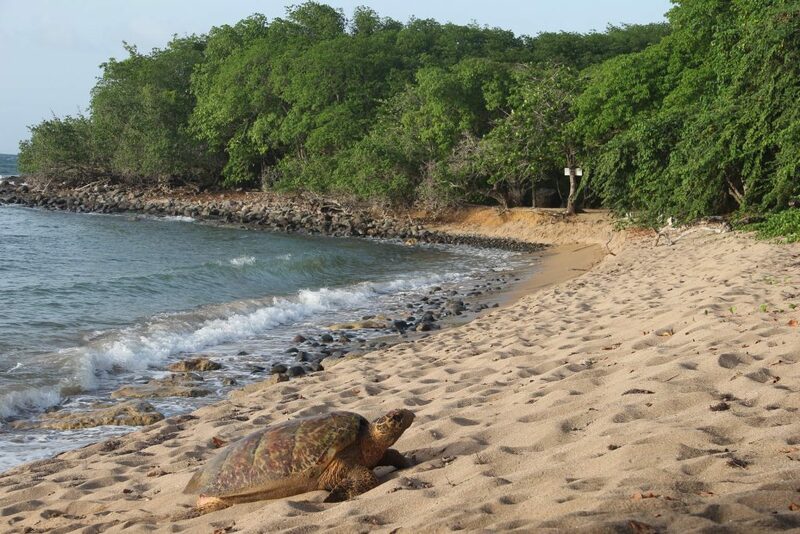 Incredibly clear water, amazing coral gardens, giant coral ferns, many different schools of fish and some turtles. 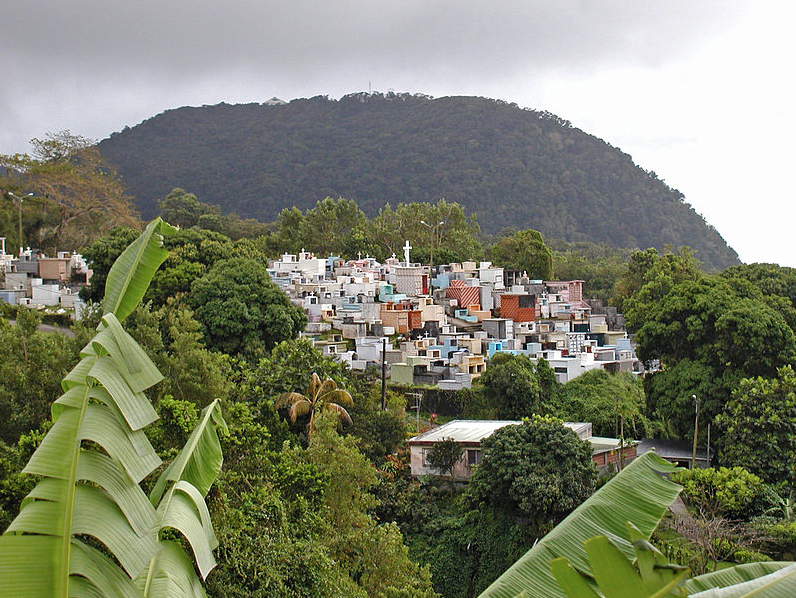 Guadeloupe, a Department of France, has several outlying island dependencies, which include Marie-Galante, La Désirade, and the Îles des Saintes. They offer a more authentic glimpse of the rural French West Indies that has changed little over time. 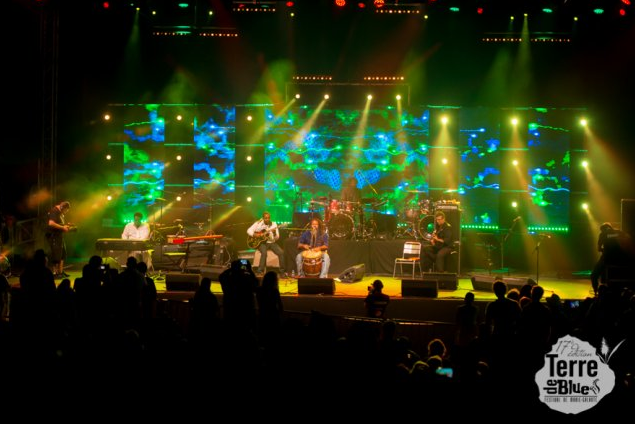 Home to the famous Creole Blues Festival, from Friday, June 7-10, 2019, the island of Marie-Galante welcomes visitors for four days of festivities with Jocelyne Béroard, Oumou Sangaré, Ky-Mani Marley, Como Mamas, Kozeika, Diana King, Mulata Son, Mélissa Laveaux, Voukoum , Vayb and Lycinaïs Jean. Treat yourself to world-class performances by booking your charter to coincide with this event. 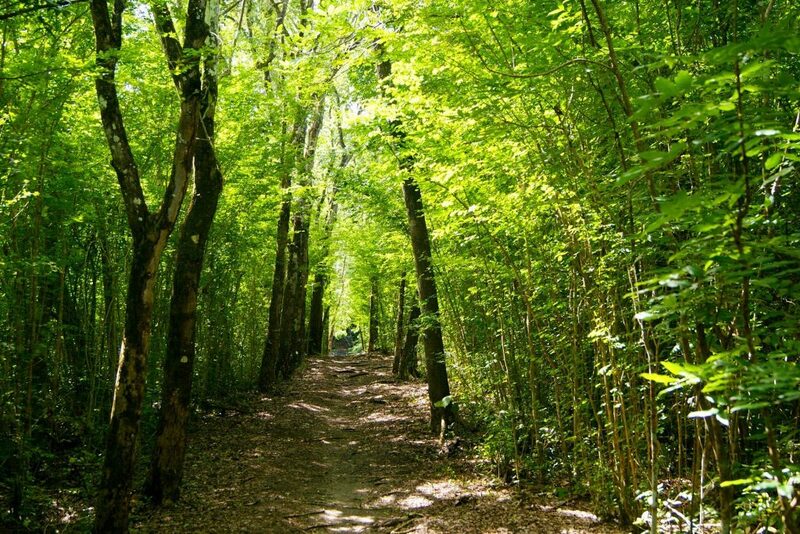 Visit Habitation Murat that was once the largest sugar and later cotton estates in Guadeloupe, restored in 2000. Visit a traditional Rum distillery that gets its cane still delivered by mules yet recycles its waste water in a state of the art natural plant process. Find an empty beach and drop anchor. 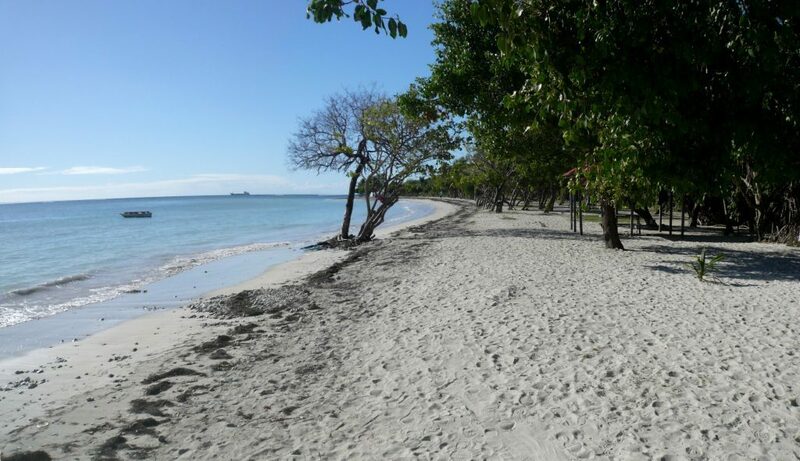 Sun on the sand, swim and snorkel in the shallow water. The crew can prepare a private beach BBQ. 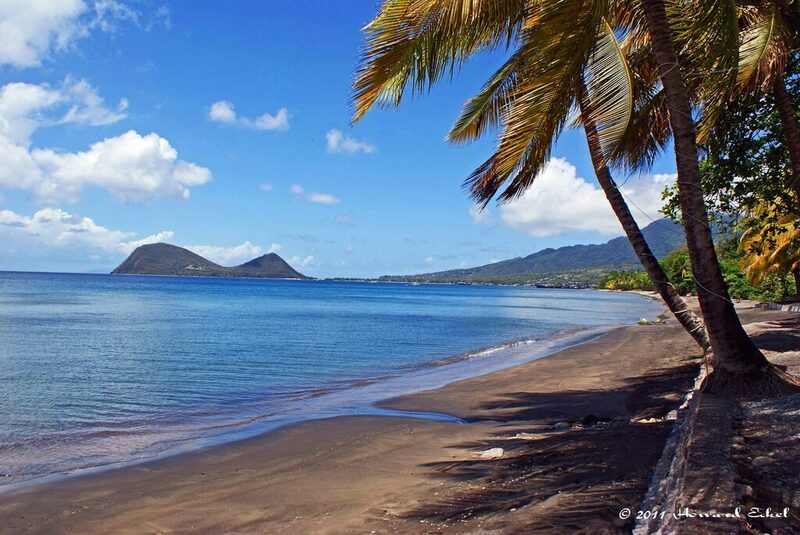 Terre-de-Haut, largest of the islands that make up Ile des Saintes, has a quaint central village, beaches and restaurants. Lots of little shops selling goods made by the locals, such as brown sugar, vanilla and crafts. Rent a scooter and go exploring. Chartering a private yacht lets you see and do it your way. 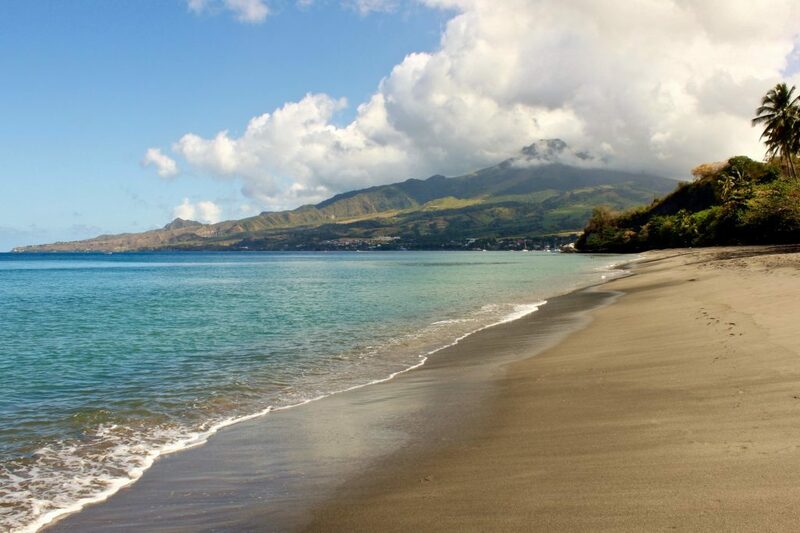 Explore Martinique and Guadeloupe on a one way charter, or spend a leisurely week circumnavigating just one island. Hide from the world. Anchor in secluded coves, swim, snorkel and sun in complete privacy. Go eco-touring down rivers, through rainforests, up volcanoes past waterfalls and hot springs. Immerse yourself in the culture. Photograph fisherman waving lobsters at you from parti-colored boats. Hire an Amerindian guide. Have a beer in town with new friends. Dance to live, local music. However you design it, your charter will be unforgettable. 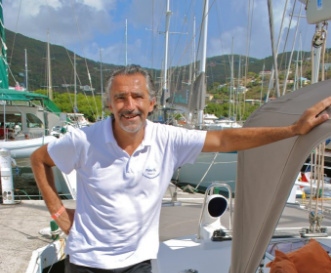 Special thanks to Captain Piero of S/C Sagittarius for his advice about sailing in the French Caribbean Islands, a region he loves and has chartered for many years. Select Yachts is pleased to recommend excellent sailing and motor yachts with crews that know the best harbors, anchorages, dive spots and shore excursions. 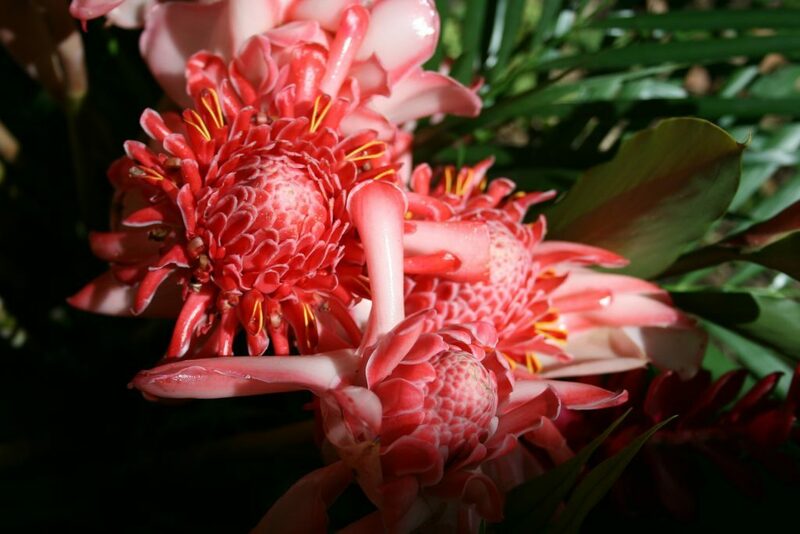 They enthusiastically share their passion for these islands with you. 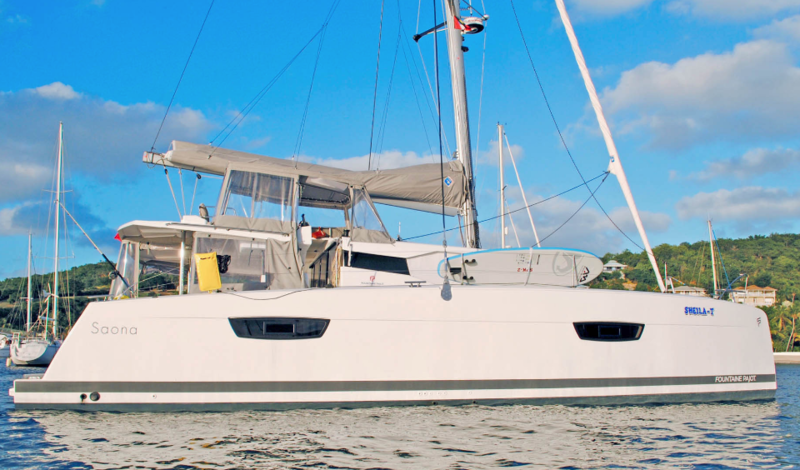 SC SAGITTARIUS, Privilege 65 sailing catamaran accommodates 10 guests in 4 queens and one king master cabin. Interiors are soothing, spacious and fully air conditioned. 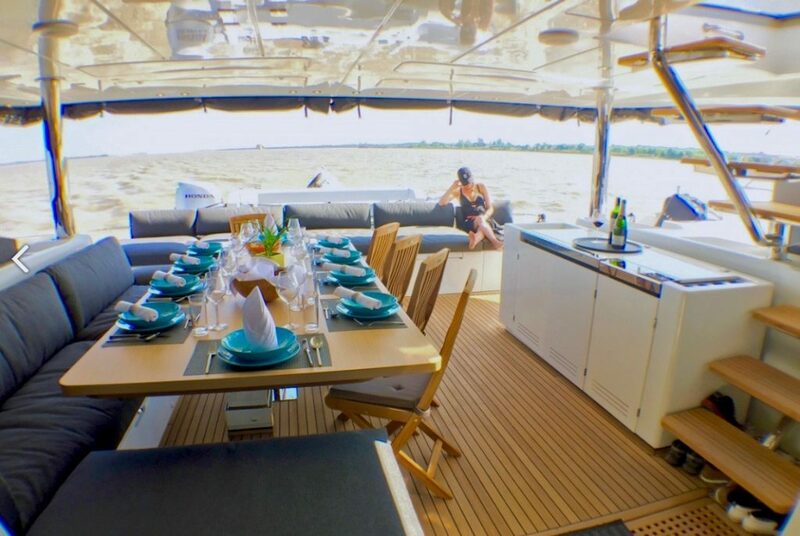 Superb deck space fore and aft includes double sized safety trampolines, spacious cockpit dining and wide transom steps for easy sea entry. The crew is intimately familiar with the French Caribbean Islands and the chef is amazing! 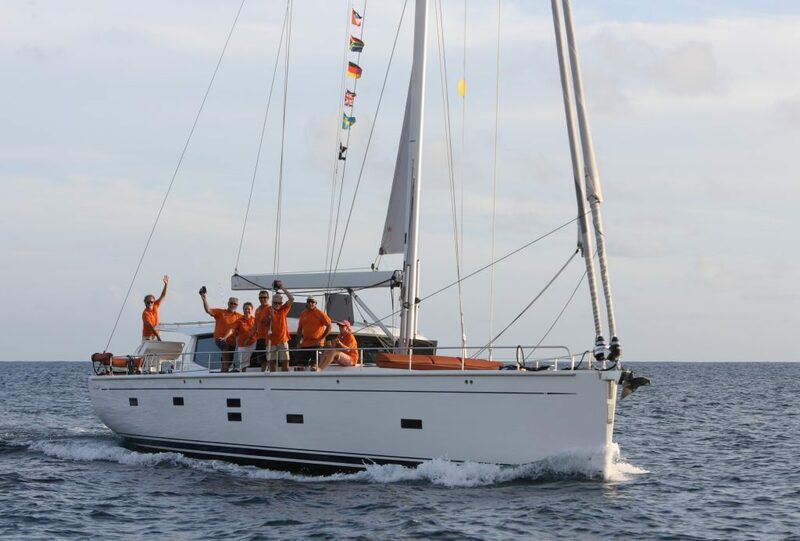 SC HARMONY, is a brand new Lagoon 380 based in Martinique. 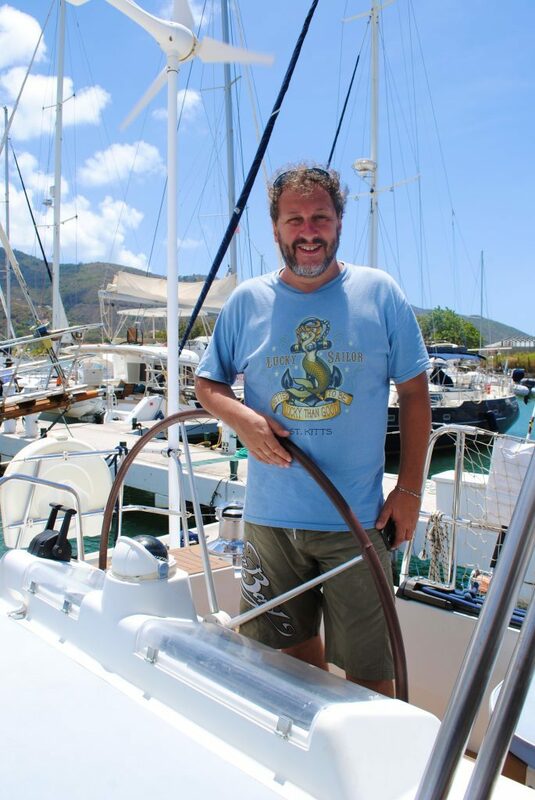 Captain Bruno is intimately familiar with the French Caribbean islands As a French writer, journalist, sailing yacht racer and long-time seaman, Bruno eloquently shares the wonders sailing and of this fabulous region with his guests. HARMONY accommodates 4 guests in two double cabins. 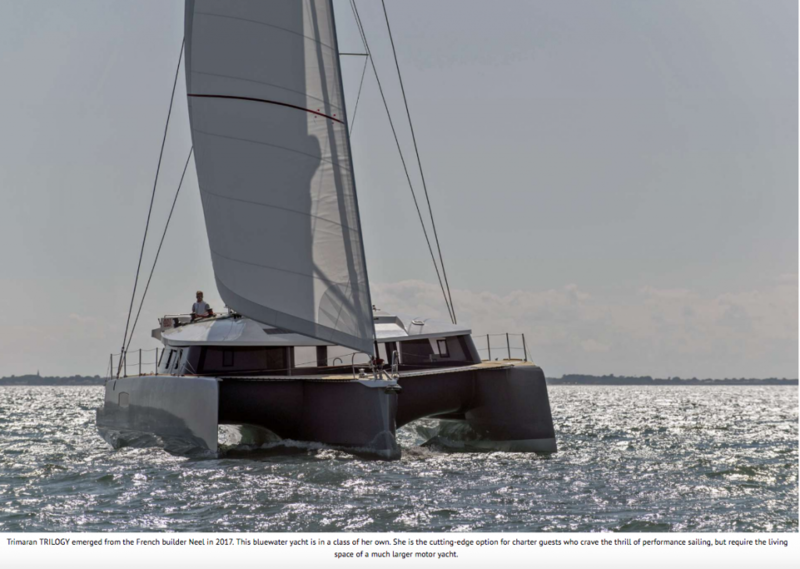 ST TRILOGY, is a stylish trimaran that emerged from the French builder Neel in 2017 as a bluewater yacht in a class of her own. She is the cutting-edge option for charter guests who crave the thrill of performance sailing, but require the living space of a much larger motor yacht. 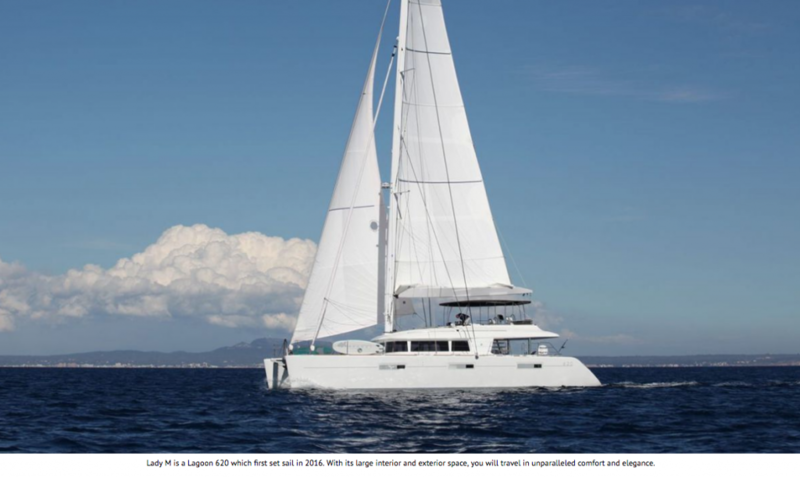 SC LADY M, this Lagoon 620 first set sail in 2016. With her large interior and exterior space, you will travel in unparalleled comfort and elegance. 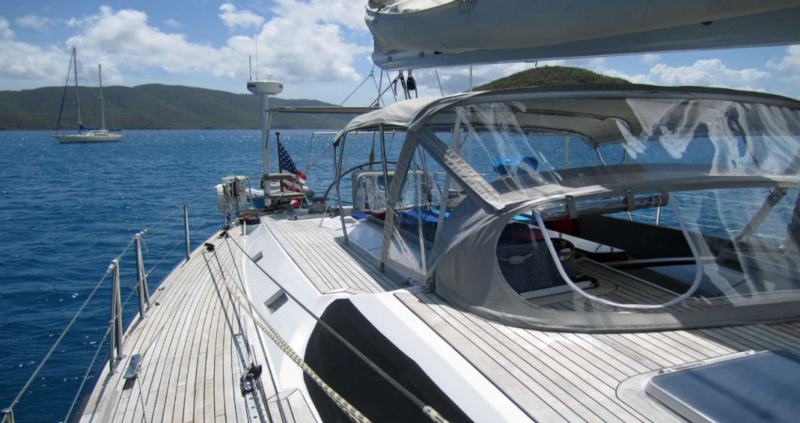 The yacht and professional crew specialize in the French West Indies and consistently get rave reviews from their clients. SY NEMO, is a Dufour Gib’Sea 51 designed as the most spacious cruising yacht of her size. 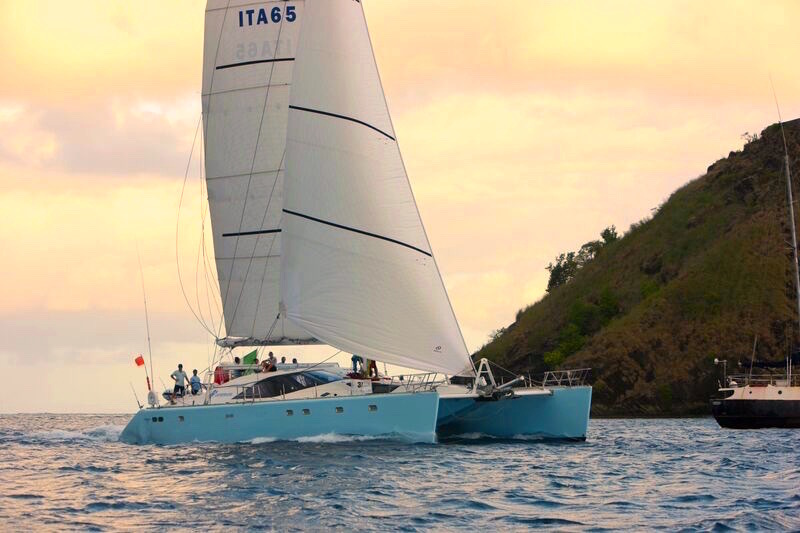 Hoist the sales on this performance sailing yacht and skim across the water. 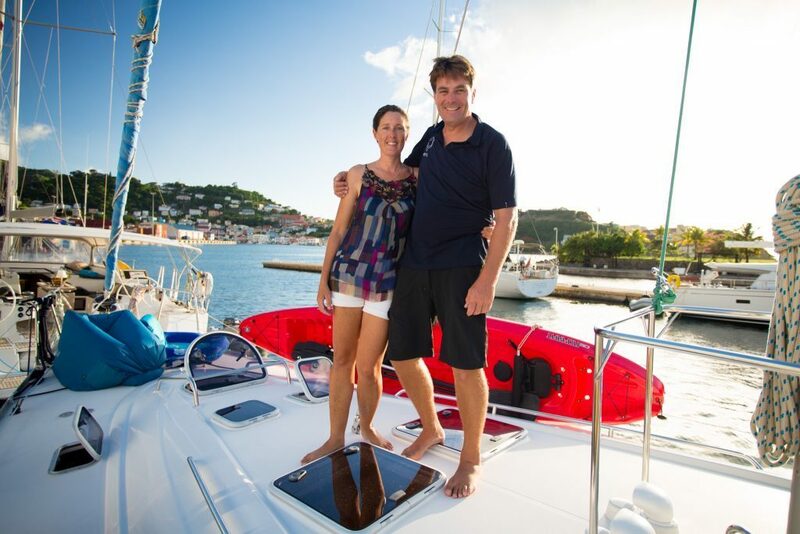 The charming crew are avid sailors and happily share their favorite island gems with their guests. SY MOJEKA, Moody 56 has innovative architecture for one-level living. Enjoy panoramic views from both the cockpit and salon. This high performance yacht is a thrill to sail. Accommodates 6 guests in 3 cabins. SY CAP II, CNB Bordeaux 76, performance sailing, comfortable cabins, with convertible forward cabins into one very large master.